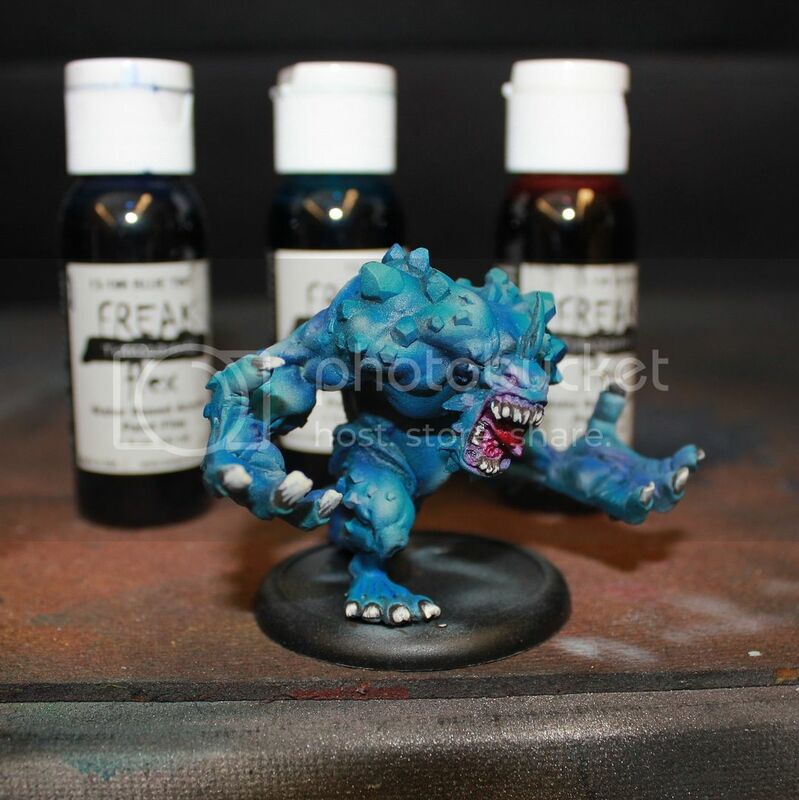 So Ive had some requests for a quick and easy way to paint good looking troll skin. Sure Why not? 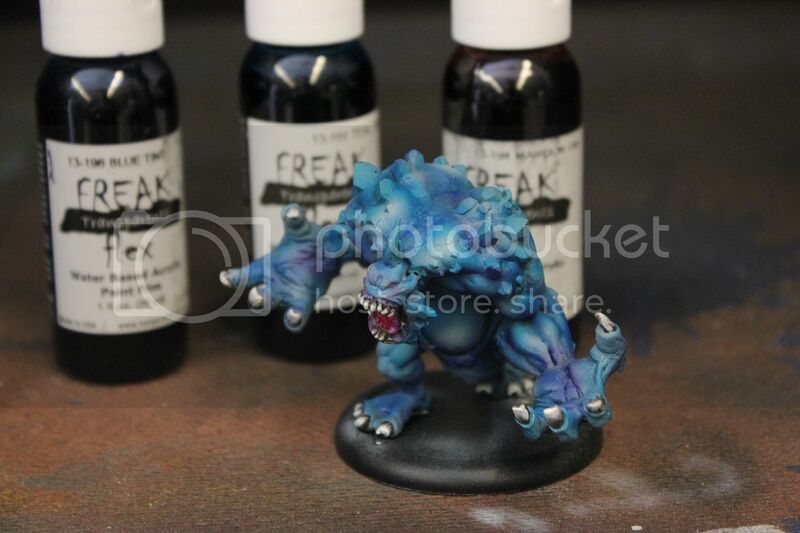 Grab your airbrush and lets begin! 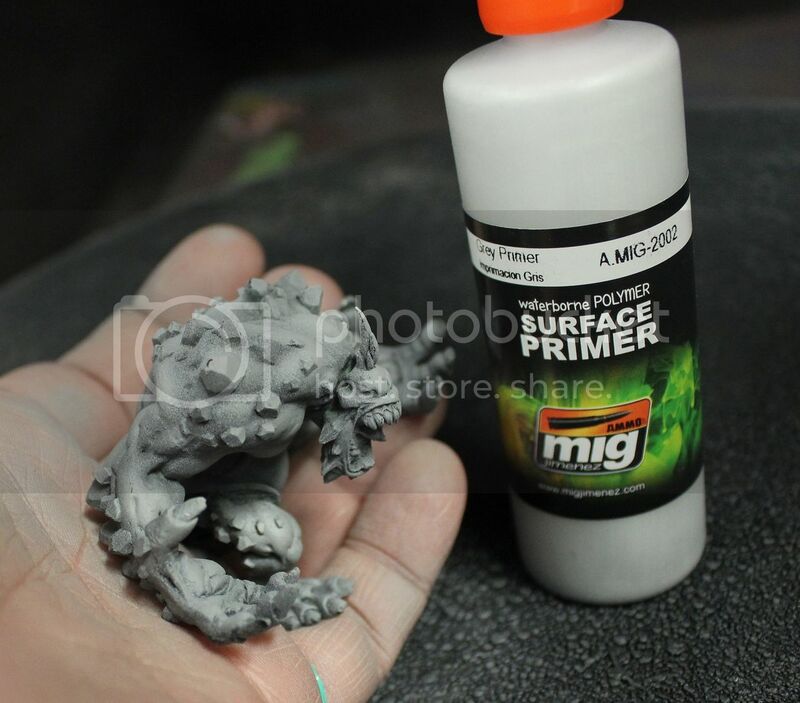 Start out with a black primer followed by a coat of a light coloured primer like white - or as I have used here Grey by Ammo of Mig Jimenez (I love this stuff!). Tamiya grey would also work really nicely I am sure though it may be a little slick for the tints..... Anyhoo, spray the lighter colour from above to help create some shadows with nil effort. Next I grabbed my badger Freak Flex tints - these are translucent colours often called "candies". 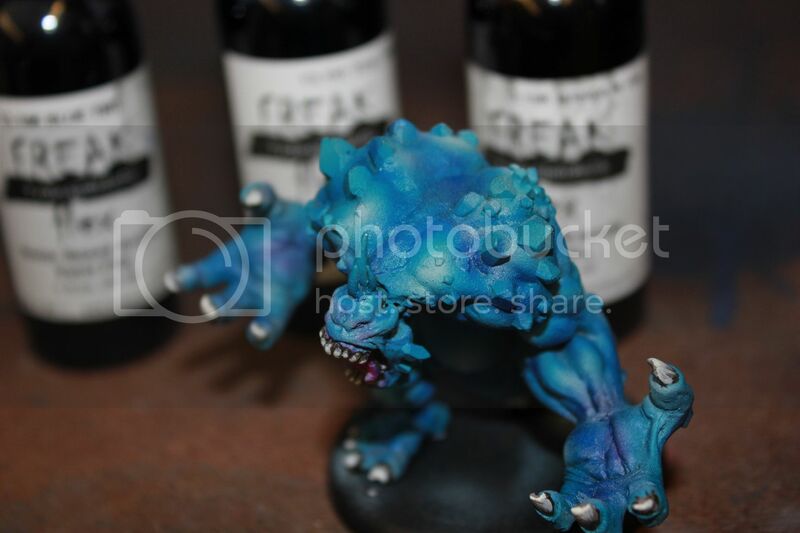 Miniature artists like Schnauzerface and my incredibly friend Mathieu Fontaine have done a lot to draw attention to the Badger "Ghost Tints" line of paints, which are essentially the same thing - just a few different colours in the range. So I started with the purple and sprayed it into a few of my deepest recesses (basically anywhere I still saw the black undercoat). I followed this up with the blue as my dominant colour and more or less worked up in stripes from the creases and used the blue to help surround and define each shape leaving some of the light primer on top of each form as highlight. Because it is so translucent it really lets your pre-shadowing (the black and violet) and highlighting show. 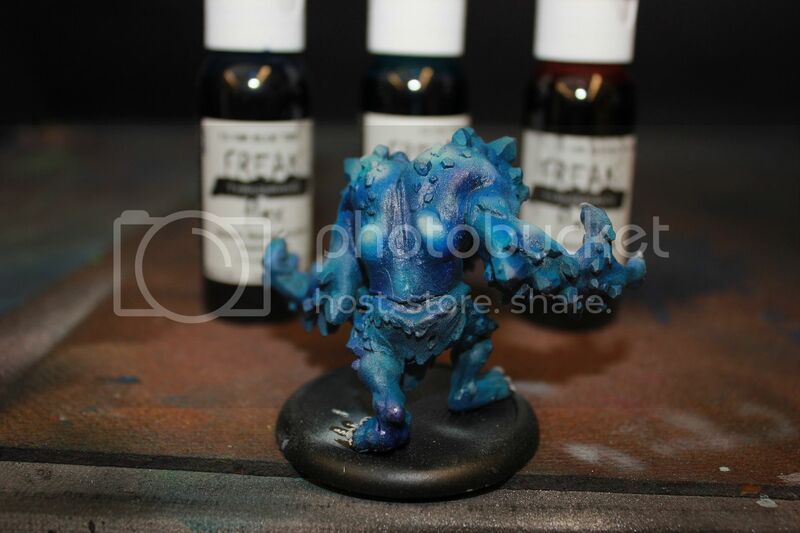 I then used the turquoise to spray a really thin and light coat over almost the whole thing which helped to unify the overall colour. Anywhere that I felt I had lost too much light I just went back and misted in a tiny bit of white and then a small amount of turquoise to re-blend one more time. I also re lit the mouth and sprayed it with the red and purple tints to create the gums and whatnot and finally grabbed my actual paintbrush to base coat & paint teeth, nails etc. LMK if you try this. ASK if you have any questions. 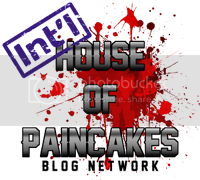 SEND pics of trying this out and Ill happily post them here for people to see!